I am very excited to finally have a new design to show you! 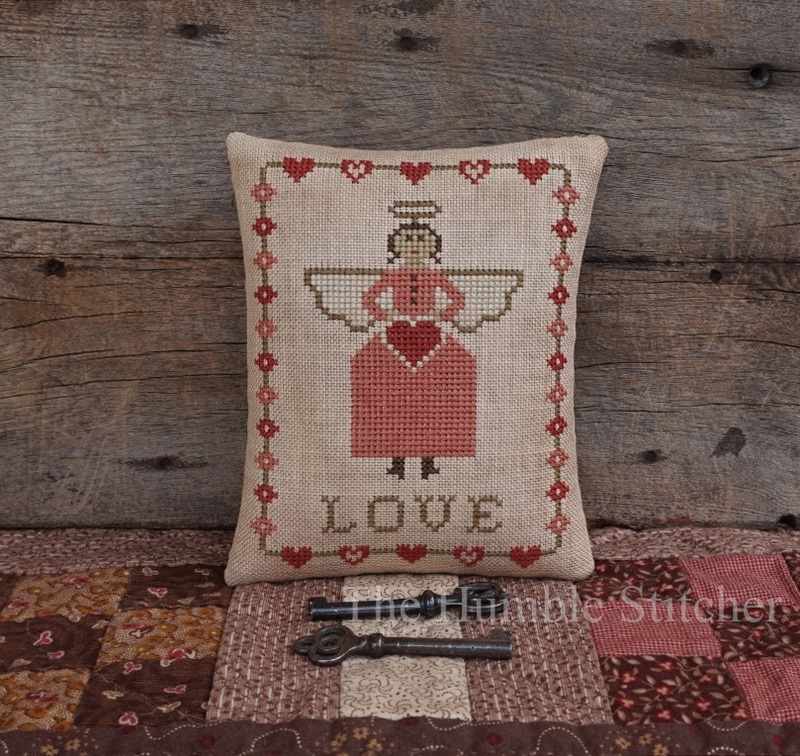 This sweet little stitch is called "Valentine Angel". The pattern is now available in my Etsy shop for those of you who might like to stitch one for yourself. Hope you like her! And speaking of Valentines, my son got married on the 19th of this month and I couldn't be happier for him and my wonderful new daughter-in-law. I pray they will have many happy years together. Life is good and I feel so very blessed!!! Love your sweet new design!! Happy Valentine's Day and Congratulations on your son's wedding! How exciting!! This is very sweet! Do you have a YouTube channel? Best wishes to your son and his bride; may they have much happiness today and always! You Valentine is a sweet design. I hope you have a wonderful weekend. Thank you, Mary. The answer to your question is no, I don't have a YouTube channel. I think I would be to nervous to go live like that!!! Early work mercantile update!!! Yay!! Prim Dolls of Calico has just up-dated with very unique Early Gatherings...Dolls, Early Amish Made Children Clothing, Early Bears, Early Doll Bedding..Come and have a look!!! 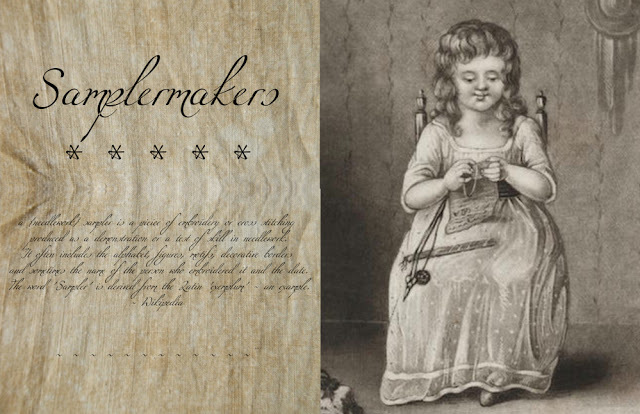 My name is Sandy and I am passionate about early American needlework! 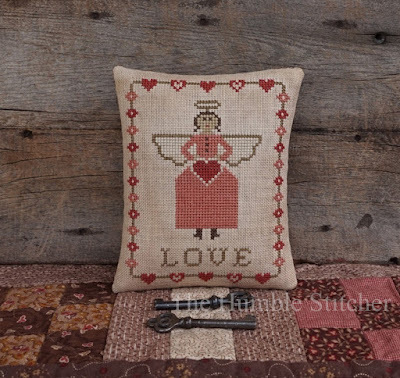 I love to stitch items inspired by the past, especially primitive style samplers, doll quilts, pinkeeps and penny rugs. I admire all of America's humble needlecrafts and strive to capture their simple, homespun feeling in my work.